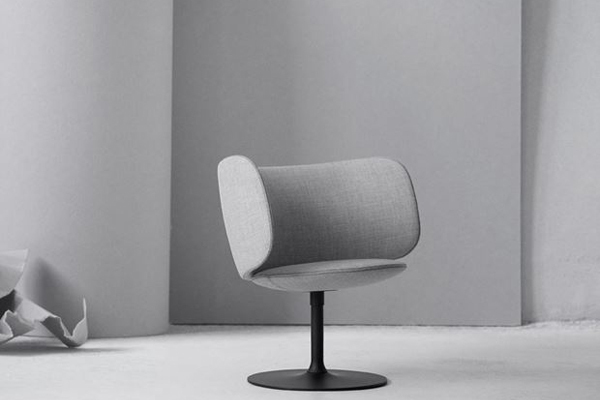 The Stella lounge chair by +Halle is one more item to the long list of Scandinavian design’s success stories. With a wide back also serving as an armrest, allowing for many different seating positions, it is made of high quality moulded foam and mounted on a return swivel. The chair’s “air of both lightness and strength” earned it a Reddot Design Award.